The Society is indeed fortunate to have the support through sponsorship of the following commercial enterprises. KPMG is a leading provider of professional services including audit, tax and advisory. Their innovative spirit inspires what they do and how they do it, providing valuable benefits for clients, employees and stakeholders. Constantly striving to be better lies at the heart of what makes them different. Vonu Island Brewing Company is a newly established boutique microbrewery producing a handcrafted beer (free of additives and preservatives) brewed naturally using pure Fiji island rainwater. The uniquely designed bottles feature Fiji’s endangered Green Turtle to help raise funds and awareness to support breeding programmes in the Mamanuca’s. Fiji Airports (FA) is a fully owned Government Commercial Company. FA owns and manages Nadi International Airport, Fiji’s Gateway to the World, the Nausori International Airport and the thirteen other outer-island airports. Nadi International Airport handles 98% of international visitors to Fiji, 80% of which are tourists. FA provides Air Traffic Management services in the Nadi Flight Information Region which includes the air spaces of Fiji, Tuvalu, New Caledonia, Kiribati and Vanuatu, covering an area of six million square kilometers. Fiji Airports has its own Carbon Management Policy, targeted to specific aims so that it can manage its carbon performance and footprint and provides significant commercial support for MES. O-ZONE, (Outrigger’s ZONE) is a global conservation initiative centered on protecting the health of coral reefs and the oceans surrounding the iconic beach destinations of Outrigger Resorts. Over 60% of the world’s coral reefs are under immediate threat from climate change, over fishing and land-based pollution. OZONE is an action plan to make a positive impact on reef conservation. OZONE generates awareness and enhances the guest experience through interaction and learning. Guests of Outrigger Resorts may view in-room videos, attend on-property lectures, and participate in community activities like coral planting. The Embassy of the United States of America, Suva Fiji, Pacific Regional Environment Office- Environment, Science, Technology and Health Small Grant programme will fund a one year Climate project titled: Building Community Resilience to Climate Change through Education and Community based resource management in the Mamanuca Islands. The SGP program was established in 1992, the year of the Rio Earth Summit. It embodies the very essence of sustainable development by “thinking globally – acting locally”. By providing financial and technical support to projects that conserve and restore the environment while enhancing people’s well-being and livelihoods, SGP demonstrates that community action can maintain the fine balance between human needs and environmental imperatives. Poor and vulnerable communities – SGP’s primary stakeholders – are most at risk because they depend on access to natural resources for their livelihoods and often live in fragile ecosystems. The UNDP Small Grant Program supports the work towards the protection of sea turtle population through community based educational programs for member resorts and communities including research and the rehabilitation of nesting beaches. Paradise Beverages (Fiji) Limited was founded in 1957 and is based in Suva, Fiji. Paradise Beverages (Fiji) Limited is a subsidiary of Coca-Cola Amatil (Fiji) Limited. Paradise Beverages is the leading manufacturer of beer, distilled spirits and alcoholic ready-to-drink beverages in Fiji and Samoa. They work in a diverse mix of markets across the Pacific and Oceania. Their mission is to be recognized as the premier place to work, creating world class beverages and making a positive contribution to the business and the markets in which they operate. They aim to leave a positive legacy and ensure minimal impact on the environment, working responsibly and making the right choices now, in a sustainable way, for future generations. Their focus is on areas where they have the greatest opportunity to make a difference: improving recycling outcomes; energy management and climate protection; and water stewardship. 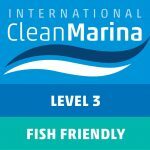 This year the Marina Industries Association (MIA) has announced the first Fish Friendly Marina accreditations in the UAE and the South Pacific. Port Denarau Marina Fiji was approved as accredited by the MIA Board. The marina has set a benchmark for others to follow and currently using the Clean Marina program guidelines as an environmental template to upgrade facilities and services and for the environmental education of their clients and communities. 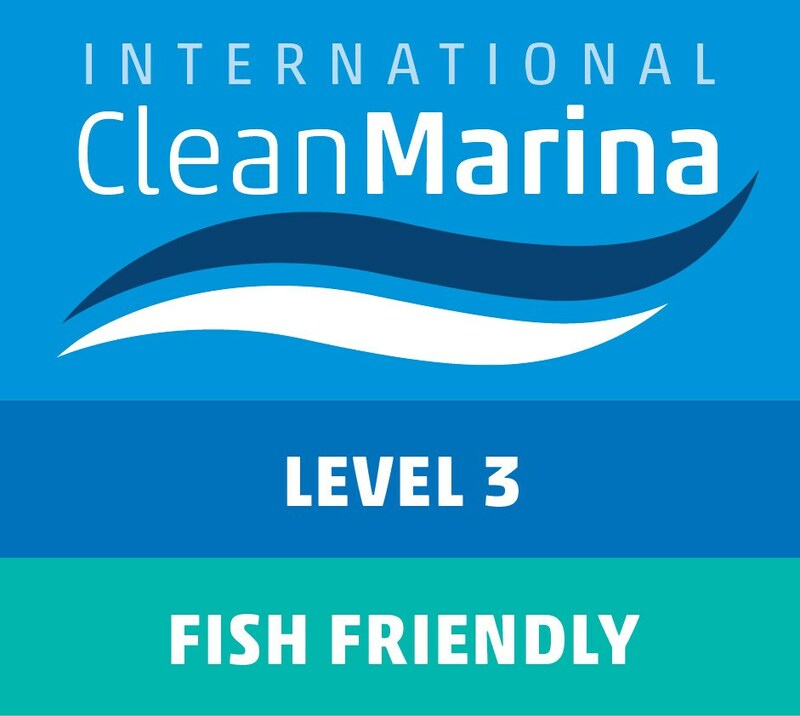 The marina achieved Level 3 Clean Marina accreditation and contributed to the writing of a new Environmental Code of Practice and Fiji’s Clean Boating Program.